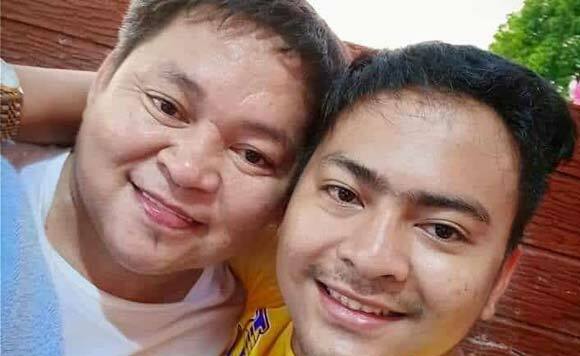 Sariaya Mayor Marcelo Gayeta managed to greet his wife for her birthday on March 19 even though the family is grieving over the killing of son Christian. In a Facebook post, the mayor recalled that Christian had promised to cook for his mom on her birthday, and was planning to serve lechon because he knows how to make a good sauce. Gayeta said he knows his son is happy now, since the policemen who shot him have been taken into custody. He is also proud that Christian didn’t invoke his status as the mayor’s son when he encountered the policemen, but still, the family finds it hard to accept his death. Their grief knows no bounds. LEGASPI AT PO2 SUMALPONG KASAMA ANG WALANG KAPUSO PUSO NA HIPE..COL.LAYGO PARANG BANGUNGUT SAMIN ITO PIRO OTOY ITO MAM ANG KAHULIHAN B-DAY NG MAMA MO NA KASAMA KA NAMIN MAHAL NA MAHAL NA MAHAL KA NAMIN..DIKO MATANGAP NA KAHIT SA KAHULI HULIHAN NG BUHAY MO DIKA PA RIN NAG PAKILALA NA ANAK KA NG MAYOR..SA SUBRANG TAPAT MO SA MGA BILIN Q NA WAG NA WAG IPAG MALAKI NA ANAK KA NG MAYOR..PIRO OTOY BAKIT BAKIT MAMATAY KANA HINDI KAPA NAG PAPAKILALA NA ANAK KA NG MAYOR.,.SUBRANG SAKIT OTOY ANG AMING NARARAMDAM MAGING MATATAG MAN AKO PIRO PATULOY AT PATULOY NA PUMAPATAK ANG LUHA Q..,” the mayor posted on Facebook.